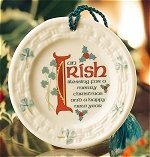 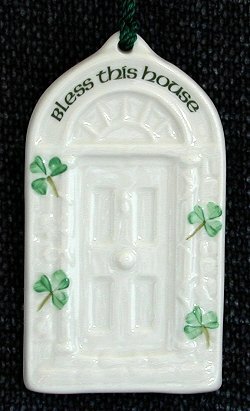 The House Blessing Christmas Ornament is shaped like a door with the inscription 'Bless This House' over it. 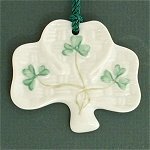 Hand painted shamrocks decorate the sides of the piece. A wonderful gift to a new home owner or to old friends. 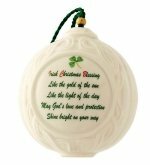 I like the contrast of the bright red and yellow with the green on white. 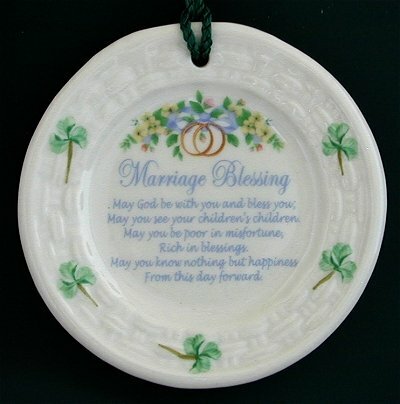 A wonderful gift for the newly weds or for remembering their first anniversary as a blessing on a marriage is always appropriate and appreciated. 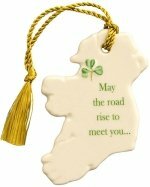 Ornament in the shape of a shamrock. 2-5/8 inches wide by 2 inches tall. 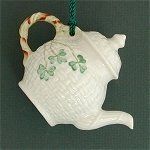 A basket weave teapot ornament with a candy cane as a handle. 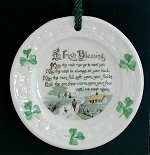 Hand painted shamrocks complete the design. 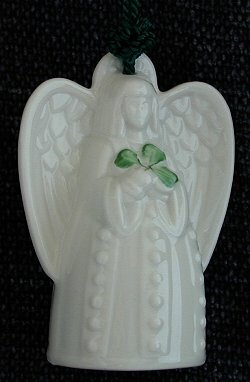 3-3/4 inches wide by 3 inches tall.